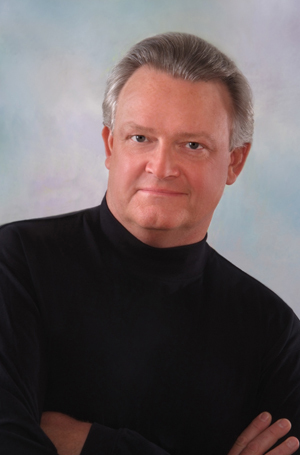 Dale Travis has become one of the most sought after bass-baritones in America today. 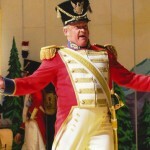 With a repertoire encompassing 50 roles over 25 years in a wide variety of styles from Mozart, Donizetti and Rossini to Strauss, Puccini and Wagner, Mr. Travis has been a frequent guest artist at the most prestigious opera companies in the world, including the Metropolitan Opera, the Lyric Opera of Chicago, the San Francisco Opera, Houston Grand Opera, Washington Opera, Los Angeles, Santa Fe Opera Festival, Opera Colorado, Spoleto Festival USA, the Saito Kinen Music Festival, Teatro Regio in Torino, Teatro Carlo Felice in Genoa, the Berlin Komische Oper, and the New Israeli Opera in Tel Aviv. In recent seasons Mr. Travis returned to the Lyric Opera of Chicago for Tosca and The Merry Widow, Santa Fe Opera for The Magic Flute and Albert Herring, the San Francisco Opera for The Marriage of Figaro and The Makropoulos Case, Teatro dell’ Opera in Rome for A View from the Bridge, Opera Colorado for La Cenerentola, St. Louis for Daughter of the Regiment and the Makropoulos Case at the Metropolitan Opera. Other engagements within the past few years include a return to the Santa Fe Opera for Tosca, Arabella, and La Traviata, La Boheme for the Lyric Opera of Chicago, the sacristan in Tosca for San Francisco Opera, and The Mikado in Kansas City. In the summer of 2013 he returned to Santa Fe Opera for Le Nozze di Figaro, Traviata, and Grand Duchess, and then performed Arabella with Minnesota Opera, Tosca with Austin Lyric Opera, and returned to San Francisco. The 2015-16 season included the Musicmaster in Ariadne with Minnesota Opera, Sacristan in Tosca with Dallas Opera, Frank in Die Fledermaus with the Saito Kinen Festival and La Gazza Ladra and La Boheme both with the Glimmerglass Festival. Recent engagements include Boheme Benoit/Alidoro and Dr. Kolenaty in Vec Makropolus in San Francisco, La Traviata with Dallas Opera, and Bartolo in The Barber of Seville with Kentucky Opera, the role of Sacristan in Tosca with Michigan Opera Theatre, and Frank in die Fledermaus with the Seiji Ozawa Music Academy. 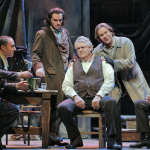 This past summer he returned to Glimmerglass Opera for The Barber of Seville, West Side Story, and Silent Night. Future engagements include the Dallas Opera and San Francisco Opera for Sacristan in Tosca, Frank in Fledermaus at the Saito Kinen Festival, a return to Minnesota Opera for Nino Rota’s The Straw Hat, and a return to Santa Fe Opera as Don Alfonso in Cosi fan Tutte. Next season he also debuts Atlanta and Virginia Opera as Don Magnifico in La Cenerentola. A versatile artist, Mr. Travis is recognized as one of the premiere basso buffo artists of the day, stemming from his studying and working with three of the greatest artists of the 20th century in that repertoire: Italo Tajo, Paolo Montarsolo and Renato Capecchi. His performances as Bartolo, Dulcamara, Don Pasquale, Don Magnifico, Don Alfonso, Geronte, and Leporello have been described as brilliant, definitive and utterly entertaining. His work in dramatic and contemporary repertoire is widely praised as well with wonderfully detailed portrayals in the works of Britten, Berg, Poulenc, Weill, Stravinsky and Janacek. Mr. Travis can be heard on EMI Classics with the Metrpolitan Opera’s Manon Lescaut HD DVD, the EMI Classic CD of Die Burgschaft at the Spoleto Festival USA, Albany Records CD of Todd Machover’s Resurrection with the Houston Grand Opera and on London Records in Capriccio with the San Francisco Opera. A strong singer with an easy, intelligent stage manner.